Welcome to the 3Sixty Circle Benefits Program, There is a high demand for a loyalty program that serves your pocket while offering a wide range of membership services that improves your lifestyle – with Circle Benefits we offer you that and more. We are deeply rooted in our South African communities and through this rich bond we have brought you a program that works hard for you-because we know you deserve it. Circle Benefits, means that you save money and have a basket of unique assistance services that you can use every day. We have designed Circle Benefits with practical solutions Debt Counselling, Legal Aid and Medical Emergency Services for you and your family. If you’ve been living with bad debt hanging over your head, it’s time to talk to us. We will review our debt administration orders and give advice which is in-line National Credit Act. What do you do when you have a legal question that needs and urgent and accurate response? Call us. Circle Benefits ensures that you have access to a team of legal experts that will advise you on contract matters, criminal cases and employment disputes. Our commitment to you as our valued client is to ensure the most outstanding rewards, which go long way to save you money. This program not only empowers you but also ensures that you get more value for your shopping through our program but also offers you real assistance benefits when you need it the most. *This is an additional benefit that only applies to Doves Full service Burial Plan, Doves All Nations Plus, Doves All Nations 8 Burial Plan and the Doves All Nations 12 Burial Plan. This offers you a basket of benefits to help you add value to your life and those who depend on you. Credit report review/Debt counseling/Mediation services/Voluntary debt review/Administration order assist and reduction of monthly payments in terms of the NCR regulations. 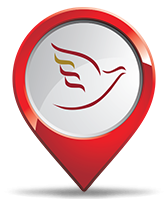 The DOVES Funeral Assistance offers specialised, professional assistance to customers with funeral arrangements during a time of need. Legal Aid Assistance with qualified lawyers for all members including perusal of documents and advice and consultations. Assist with drafting, safekeeping of wills, Interpretation of wills and assistance of finalizing a will, estate administration. Underwritten by 3Sixty Life Limited.